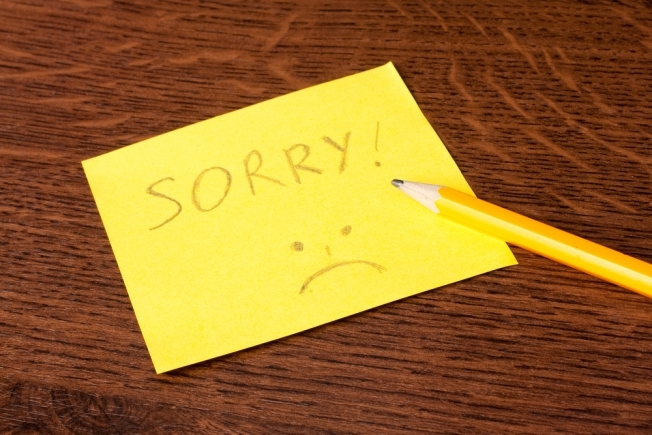 Here’s an unusual first -- the first annual Best Crafted Apologies of the Year. Not sure if this is an award you want, but we did have two local celebrities near the top the list. Over the weekend, the phony think tank “The Harding Institute for Freedom and Democracy” held the infamous ceremony at American University. The categories for awards were sports, politics, entertainment and Twitter. So let’s give a round of applause for Virginia Gov. Bob McDonnell and locked-up, suspended Wizards guard Gilbert Arenas. They were nominated, but they didn’t take home the top award. McDonnell was nominated for his recent apology to “his fellow Virginians, rather than African-Americans in particular.” He recently caused an uproar over the omission of slavery from his state’s Confederate month. Arenas made the list for “asking forgiveness from former Wizards owner Abe Polin, who is dead." The suspended NBA star is currently serving his 30-day sentence in a halfway house for bringing guns into the locker room.